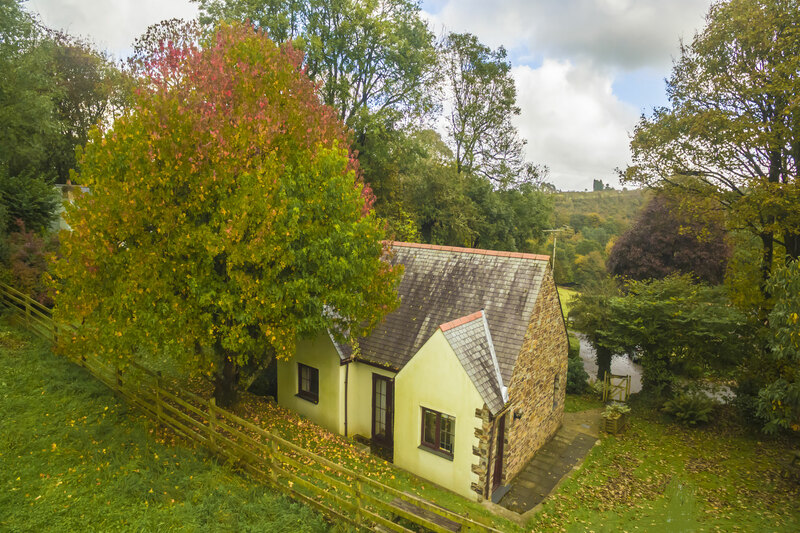 Veronica offers the best of both worlds: it has a traditional cottage type feel, but with plenty of space for the whole family and a delightful garden for the children to run around in. The entrance lobby houses the boiler and has plenty of room for throwing off coats and wellies before you walk into the lounge. 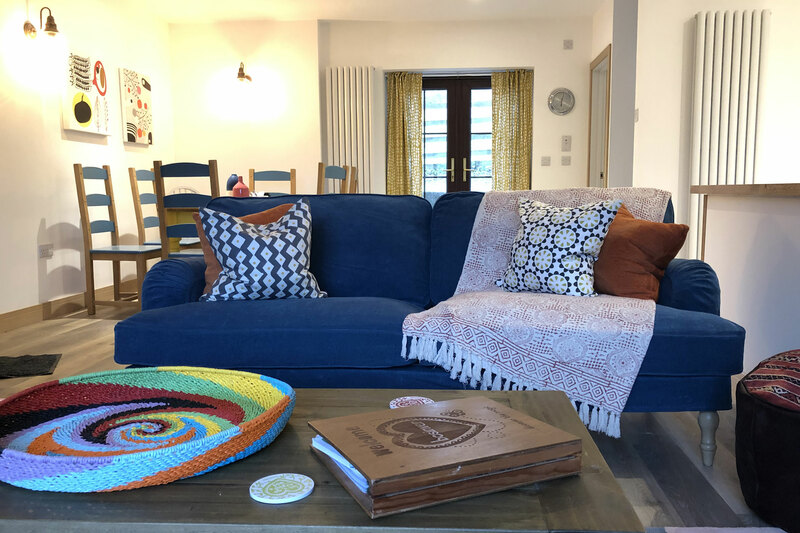 The lovely open plan lounge with views down the valley from the bay window, and bright cushion covered comfy sofas is a great family space to chat, relax or watch TV in front of the gas woodburner. This is a cosy space to snuggle down to write your holiday postcards or finish that book you’ve been reading for ages. 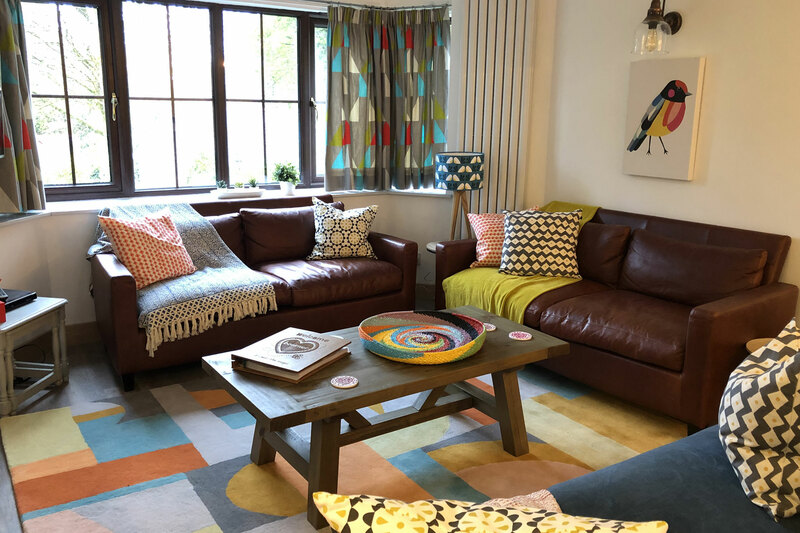 The dining table nestles in the opposite corner and from there, the French doors lead out onto the patio and into the pretty garden – which you may well share with resident wildlife and our friendly ducks and chickens when they pop by to say hello. 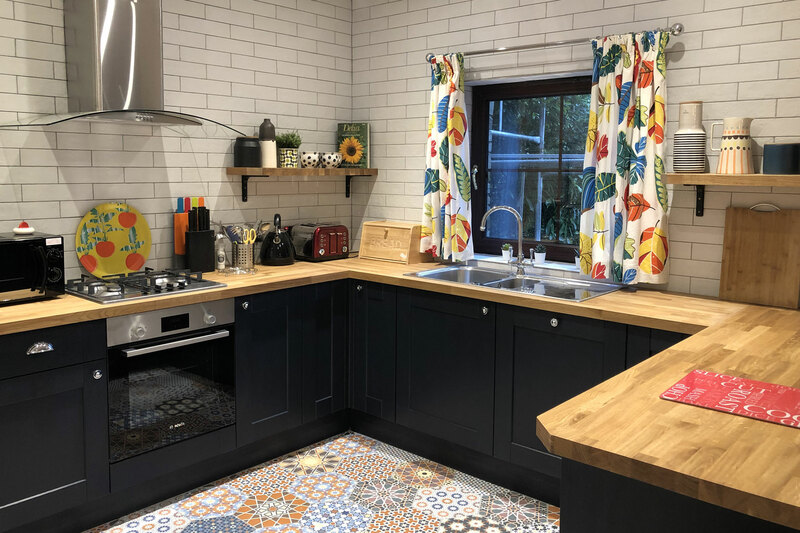 The on-trend dark painted wood kitchen has lots of bright decorative accessories and its great for chatting with everyone else in the room or listening to the TV as you cook up a storm. 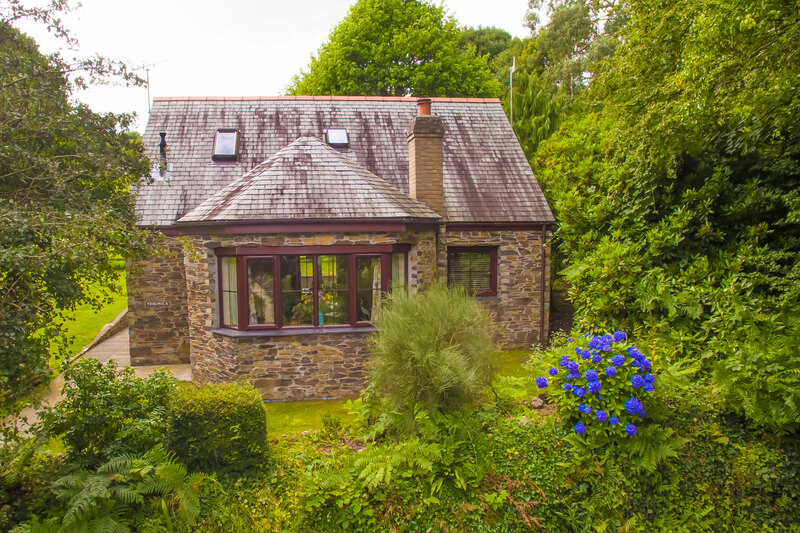 It is equipped as home with everything you need to prepare a family feast or a holiday breakfast fry-up with built-in electric cooker with gas hob, and large retro fridge freezer. 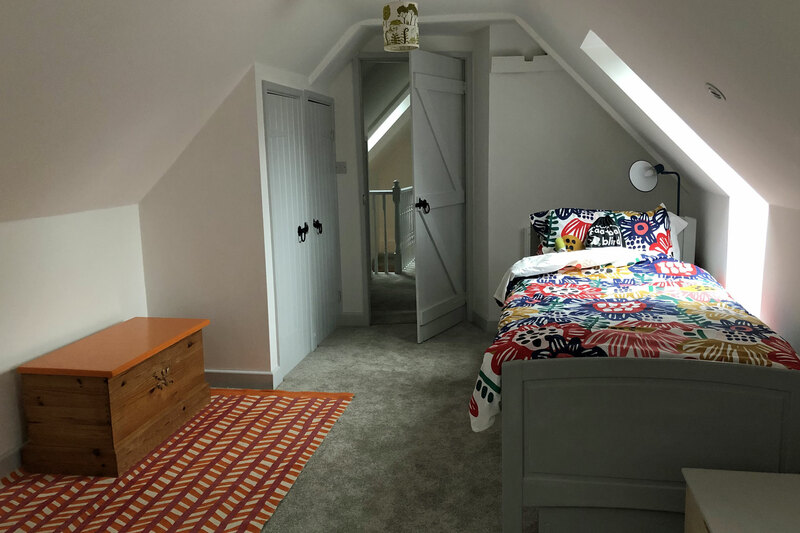 Also on the ground floor is the master bedroom downstairs with a king-size bed, large built in wardrobe, space for a cot and an ensuite bathroom with large walk in shower, vanity unit, toilet and basin. 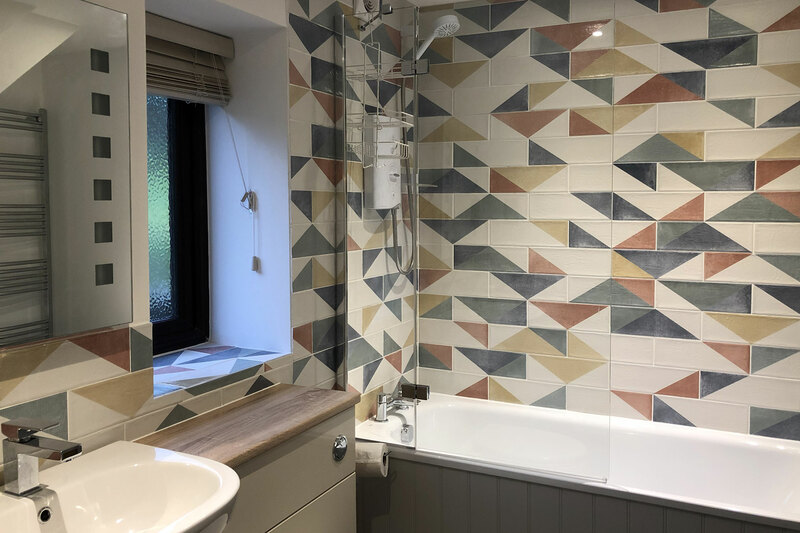 A further family bathroom adjacent to the kitchen has a bath with shower over, vanity unit and toilet. 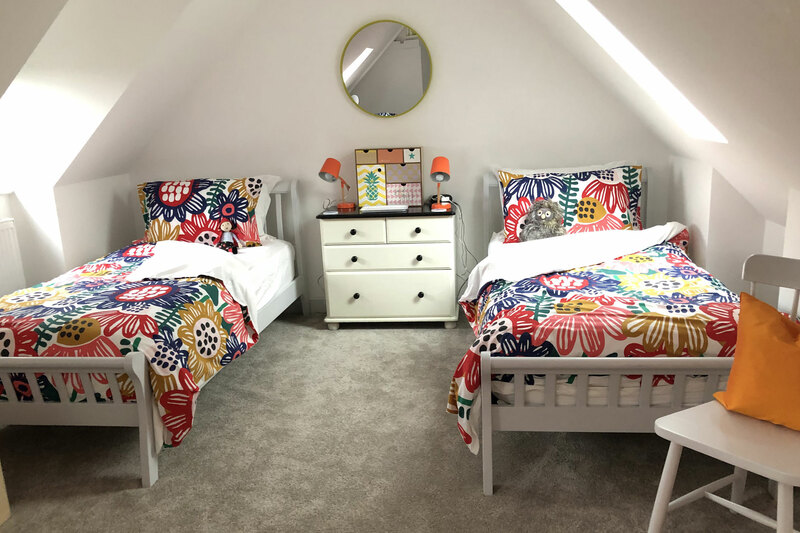 Upstairs off the landing is one single bedroom with a 3ft single bed and one large triple room with 3 x 3ft single beds and plenty of wardrobe space – all with views over the garden and fields beyond. 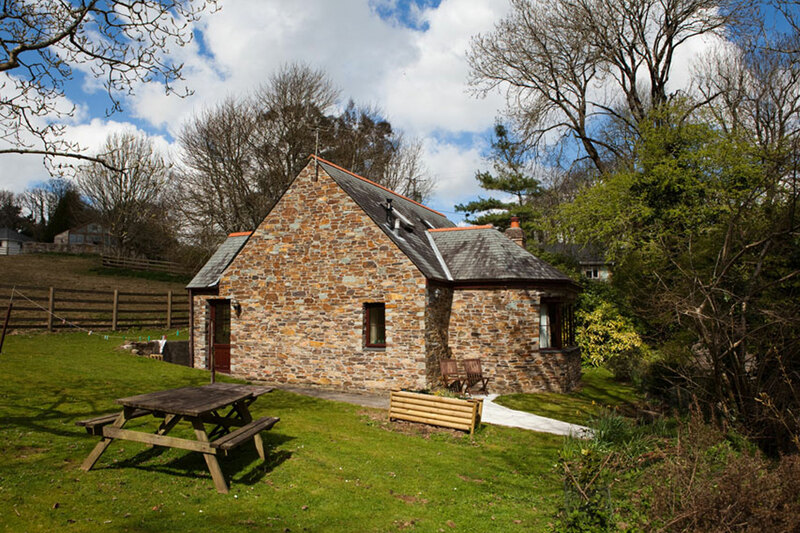 These two bedrooms share an adjoining shower room with walk in shower, basin and toilet. There is parking alongside and the entrance path has 3 small steps to reach the front door. Best for: Veronica is ideal for larger families bringing an extra relative. Veronica isn’t suitable for people who find stairs difficult. The cottage is on two levels, and there’s a short flight of steps to reach it from the lane. 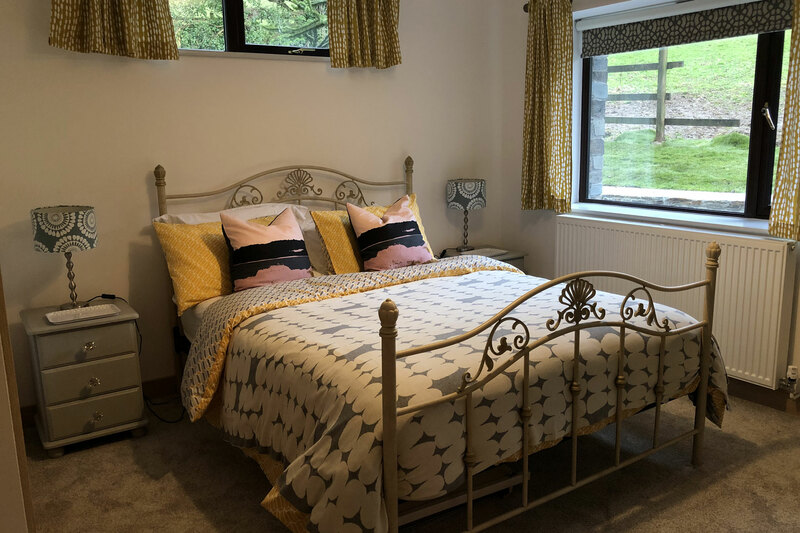 The cottage has a small folding wooden cot (36 x 21 inches, 92 x 54cm) which can be used in any of the bedrooms except the upstairs single room. On request a travel cot may be booked in addition/instead. Parking in the lane outside the cottage.